Road crews from the Crawford County Highway Department have began dirt work for the construction of the new driveway to Pittsburg High School. This driveway is one step of a multi-step solution to the traffic safety issues near the high school. A short & long-term solution has been developed for the traffic issues around Pittsburg High School, which could see improvements as early as this spring. In a meeting between Kansas Representative Monica Murnan, Kansas Department of Transportation (KDOT) Safety & Technology Bureau Chief Brian Gower, Legislative Liaison Josh Powell, Pittsburg City Manager Daron Hall, and Superintendent Destry Brown, the group discovered ways to lower the speed limit near the campus while also addressing the need for improvements at the intersection of 4th Street and Free King Highway. It will be a four-step approach to a long-term solution. First, the City and KDOT will make the traffic in front of PHS a school speed zone. Second, all pick-up and drop-off traffic, including buses will go through the current entrance of PHS. In addition, with the help of the county, a new drive to the East will be created for parking only. This will line up with Villa Drive. All traffic will exit onto Free King Highway. "This will make for a more uniform entrance and exit while addressing safety for our crosswalks and the intersection," Destry Brown said. Third, KDOT will approve a four-way stop at 4th Street and Free King Highway. 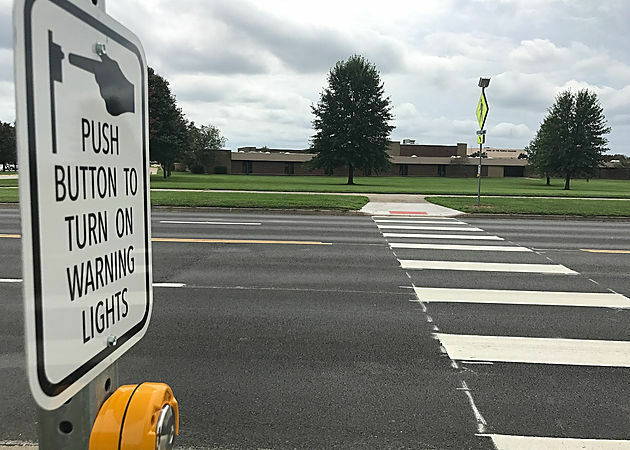 "Although it would not be a traffic signal, stop signs can be easily installed and will allow for the implementation of Superintendent Brown’s plan which allows the buses adequate access to 4th Street," Wayne Gudmonson, KDOT District 4 Engineer, said. Fourth, KDOT will help the City with a grant application for federal highway funds through the Highway Improvement Safety Program for a roundabout, which was one of the findings in the KDOT traffic study. "This will allow the City to apply for the funds while not jeopardizing other planned KDOT projects, like the overpass on 4th Street and improvements to the bypass," he said. Representative Murnan says she is appreciative of the leadership at KDOT for sitting down one more time to see if a solution could be found. "We have great public servants in Pittsburg who are willing to keep after a problem and I’m pleased we have come up with a comprehensive solution,” she said. "While this project does not involve uncommon problems, the specifics of the bus routes and proximity to the high school make it unique to Pittsburg," Daron Hall said. "Therefore, we needed a unique solution to provide a safer environment for our kids. The ultimate solution required everyone’s participation. And the actions of those involved made it possible."